Victorious Qatar Soccer Team Thanks Ta’allum and Al Jazeera Academy Students! 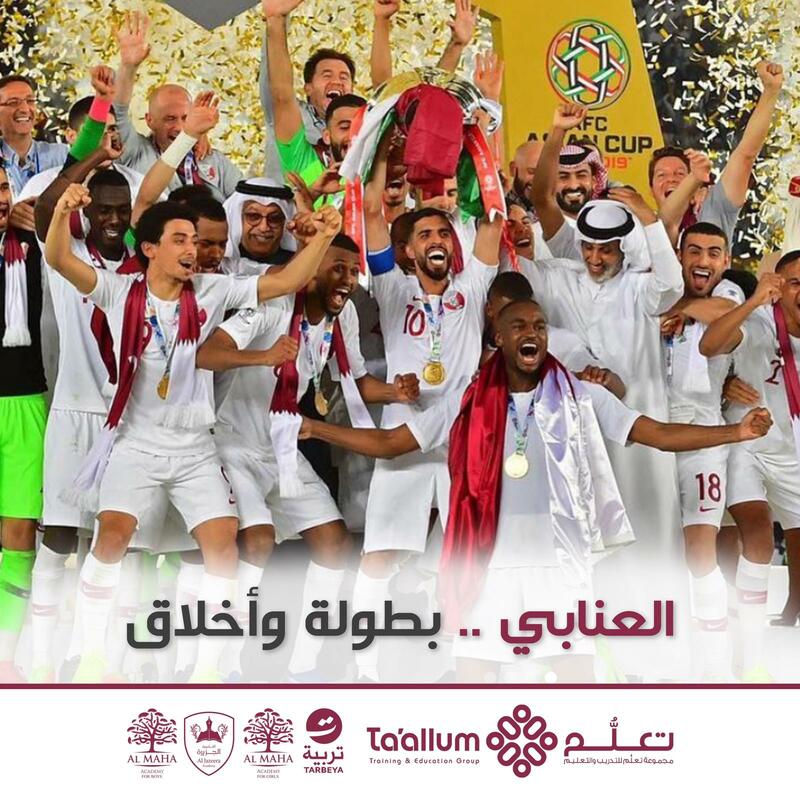 The whole Qatar nation has united in exultant celebration as the victorious national Soccer team triumphed in the Asian Cup Final. Students from Ta’allum Academies, Al Jazeera, Al Maha Girls and Al Maha Boys, are inspired by this high success. In a special moment, Al Jazeera Academy students were delighted to receive video messages from the National team thanking them for their support and good wishes. Al Jazeera Academy Maths teacher Abdulla al Merei is a relation of the brothers Ali and Akram Afif who play in the team. He communicated the excitement and patriotism of the students in the schools and the team responded with their appreciation of this fervent support! Ta’allum students hope for a visit from the team, hopefully bringing the Cup with them!